All workplaces must provide first aid equipment, facilities and in some circumstances, trained first aiders. All workplaces must provide first aid facilities and in many circumstances, trained first aiders. Recent changes to national first aid guidance material also mean asthma-relieving inhalers and epinephrine auto-injectors (commonly called epi-pens) can now be included in workplace first aid kits. First aiders should hold a nationally recognised statement of attainment from a registered training organisation. Ensure all staff know who the first aiders are in your workplace. 25 workers in high-risk workplaces (eg a construction site). Keep your first-aid kits close to areas where there is a higher risk of injury or illness such as the kitchen or warehouse. Keep a first aid kit in all your work vehicles as well. the type of first aid facilities that may be needed including the quantity and/or type of asthma-relieving inhalers, spacer devices and epinephrine auto-injectors based on workers’ health conditions. In 2018, Safe Work Australia amended their model Code of Practice: First Aid in the Workplace, bringing significant changes to what emergency medication/s can be stored in workplace first aid kits. SafeWork NSW supports these changes and recommends workplaces review their first aid needs and what medication/s may be required so that workers with medical conditions such as asthma or allergies have access to immediate care and treatment. 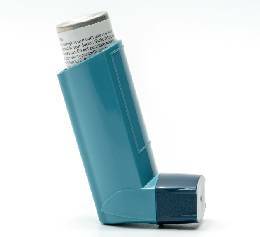 If there's an asthma attack, treat it quickly and visit a doctor afterwards to review the asthma management plan. This change allowing asthma-relieving inhalers in first-aid kits will support better workplace emergency responses, but workers with asthma should ensure they know what their triggers are and always carry their own prescription medication. 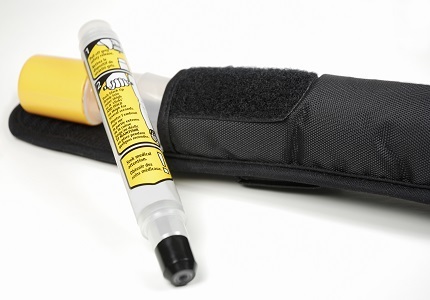 Epinephrine auto-injectors (commonly called epi-pens) to treat anaphylaxis and severe allergies can also now be included in workplace first aid kits where required. An allergic reaction occurs when a person has an extreme reaction to a usually harmless substance, for example peanuts or other food and some medicines. This change allowing epinephrine auto-injectors in first-aid kits will support better workplace emergency responses, but workers with allergies should always carry their own medication with them (including epi-pens), take their medication as prescribed, and have an allergy management plan (with the help of their healthcare professional) to manage their allergies. All medication in workplace first aid kits should be stored according to manufacturers’ instructions.